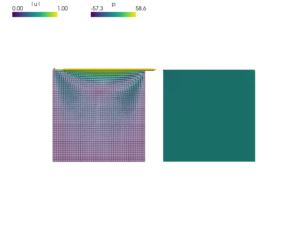 Navier-Stokes equations for incompressible fluid flow in 2D. The mesh is created by gen_block_mesh() function. The mesh is created by ``gen_block_mesh()`` function.